In yesterday’s blog, the scenario was presented in which a chopper hovered three feet off the ground waiting for enemy forces to approach them head on in a personnel truck that would breach a crest in the road at any second. There is little room for error since trees line both sides of the path with a rock face several meters away. 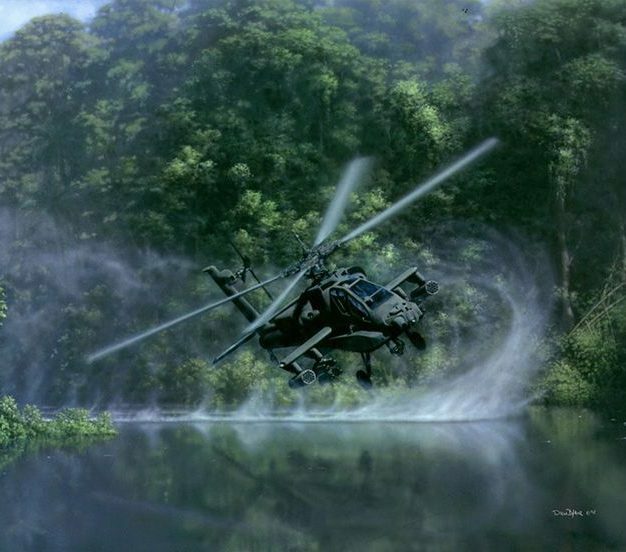 But there’s no time to land, and the Black Hawk must have room to maneuver if the men are to survive. This is a gamble for the military forces within the chopper, but these men face a foe with few options at their disposal. Time is of the essence. As the team commits to the plan that Dr. Paul Branson proposes, there will be no option for retreat. In creating this scenario for the book, I took great care in choosing the location, the strategic maneuver that would be required, but also the total dedication to the plan that would be necessary for its success. This was a life lesson for every man involved, but the men in the Black Hawk never wavered, never questioned, and never imagined an outcome other than success. This story is as true to life as it can be. It’s about men and women who put it all on the line – about faith and God, decisions and trust. This is what happens when normal people are required to do extraordinary things. You don’t want to miss this. 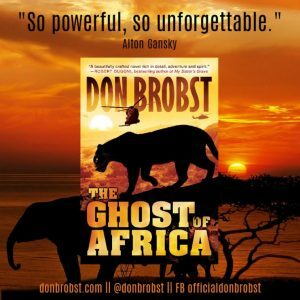 The Ghost of Africa will keep you on the edge of your seat — that’s my promise.